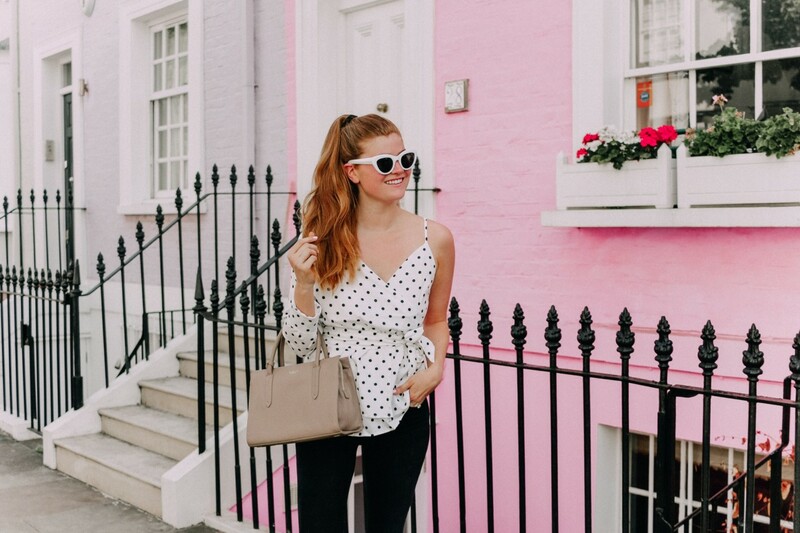 As I mentioned in this post, one of my favorite things about living in London is the fashion. The women here are so stylish, which in turn inspires me to step up my own game. Radley London is a new brand to me, and I wasn’t familiar with them at all before moving here. 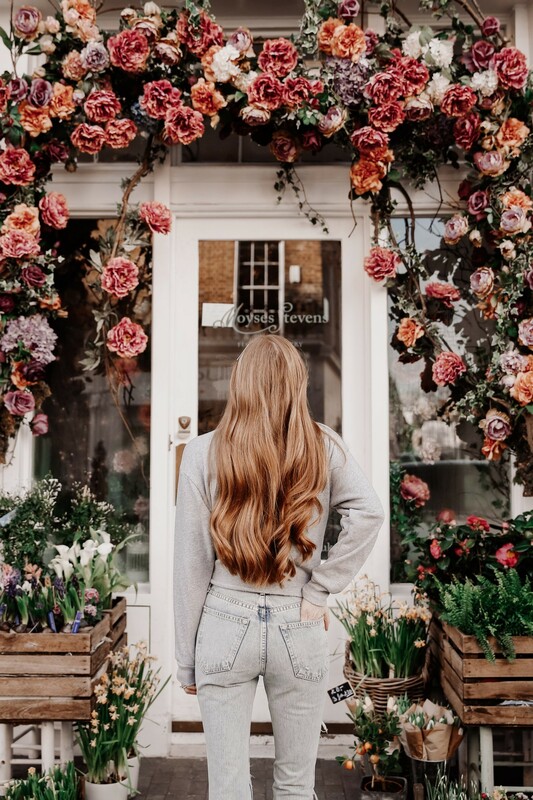 I’ve been having so much fun discovering all of these new London-based designers! 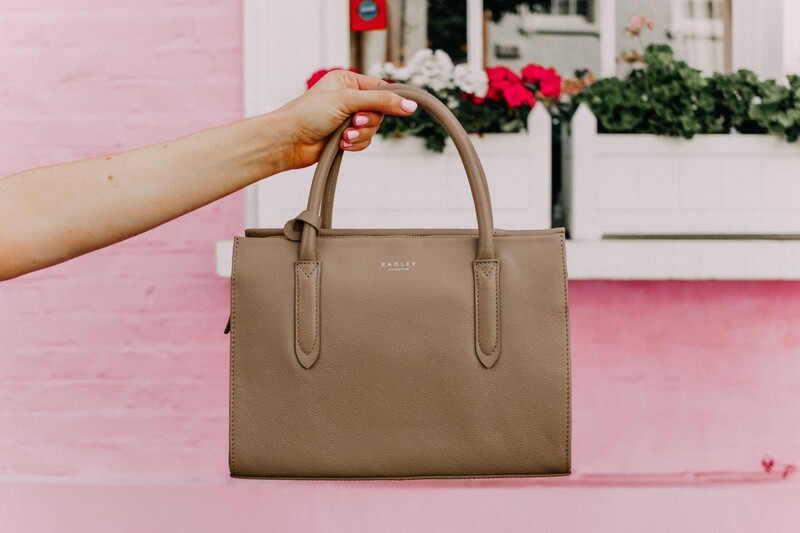 Radley London makes the most beautiful handbags – everything about them just screams London chic. They carry an array of styles that would be suitable for all occasions. The bag I styled today is perfect for work, this crossbody screams night-out, and this backpack (I’m dying for this!! It might need to be my next Radley bag 😉 ) is exactly what I need for day-to-day, and would also be great for traveling. 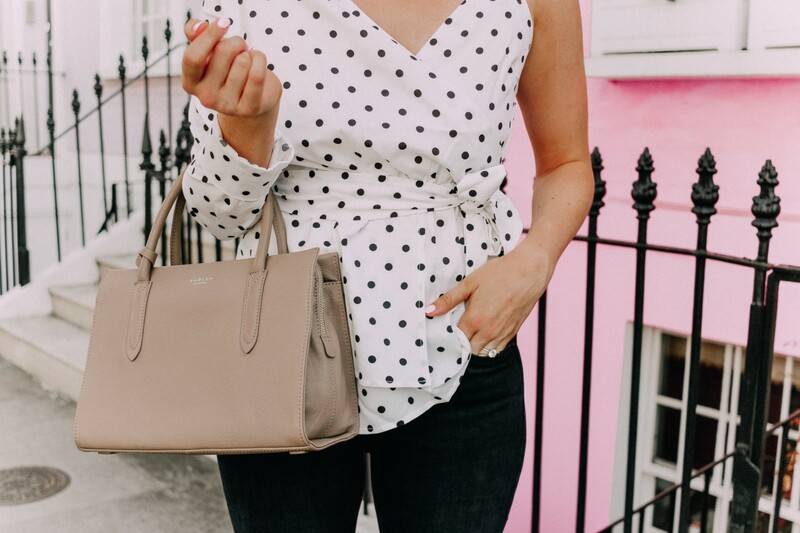 What I love about Radley is that they offer tons of classic styles in black, brown, white, etc. – there are a lot of options that you can truly wear year round. But in addition to that, they also do a great job of offering trendier colors, patterns, and fabrics. 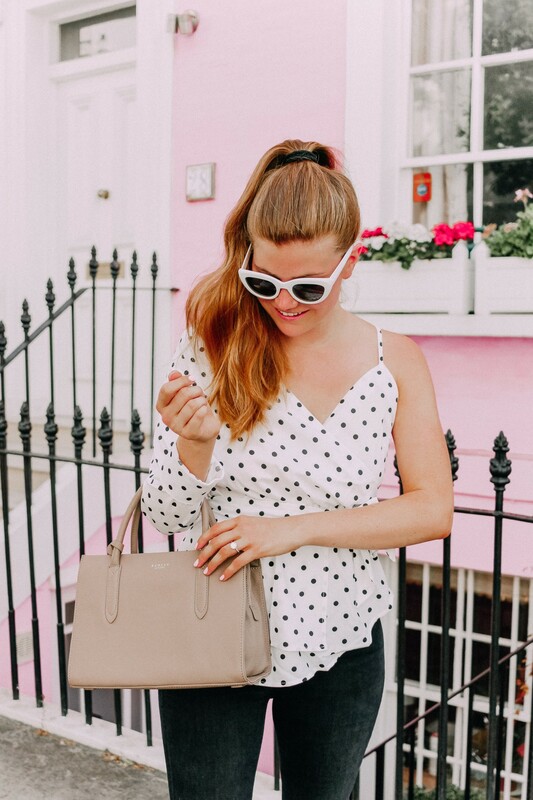 No matter your style, you can find something to suit you from Radley London! What kind of bag do you tend to lean towards – classic or trendy? I love Radley LOndon bags! I discovered them last year and their bags are so classic and chic! I really like the neutral colors of yours. Goes with anything! 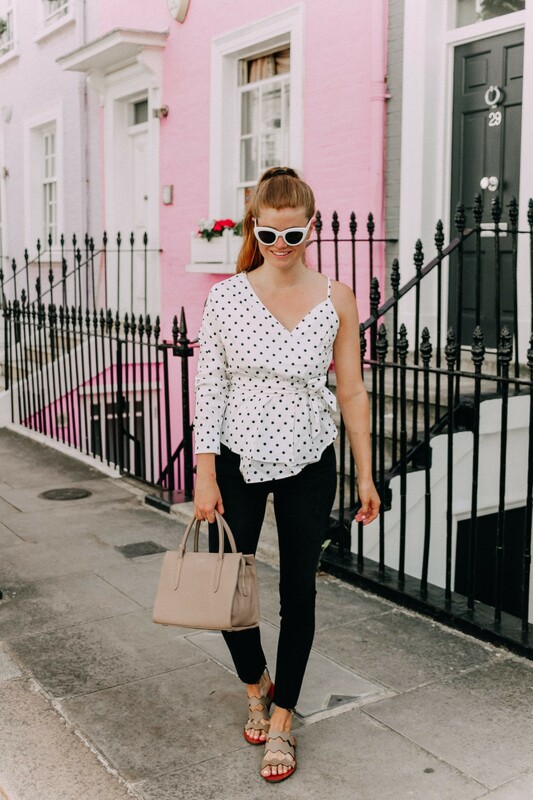 Polka dots are ALWAYS a good idea! Love this top on you. ooh i think i’ve heard of radley before, do they have the little puppy logo? anyways, loving your polkadot shirt! Fashion is london is another thing all together. when I lived there I was inspired by just walking the streets. Love the top you are wearing. I love this outfit! That blouse is really chic, I love it! Love this outfit babe, this top is so cute and perfect for Summer! This outfit is soooo cute! Totally something I would wear! 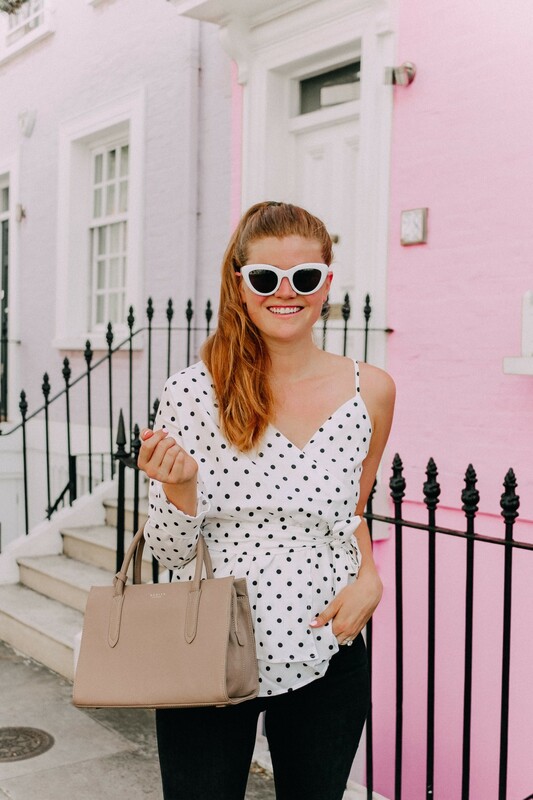 How cute are you in your polka dots! Love how it pops against the pink wall. That top is so fun and different! I love that it has an open shoulder. And that bag is such a great every day bag! I need this handbag now. it’s so cute and chic. i have to check out the brand, i’ve also never heard of them. 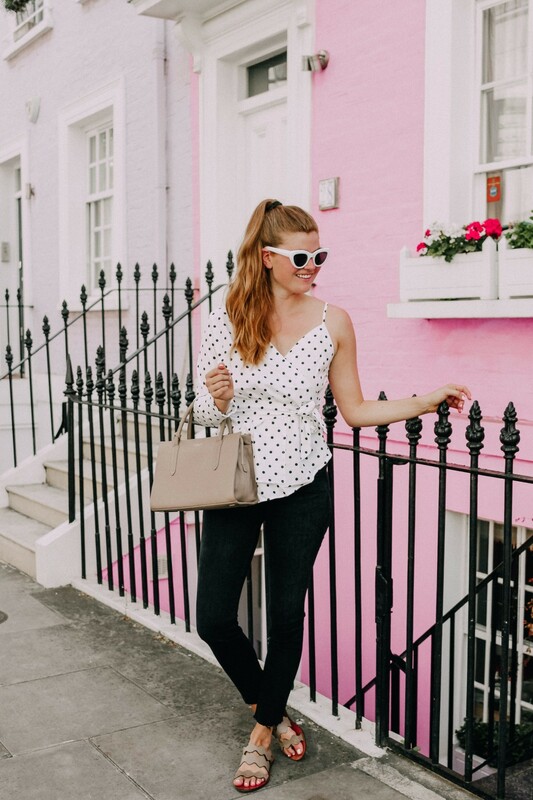 such a cute outfit – love those sunnies!